Our contemporary refurbishment project at Island Cottage has made great progress over the last few months. Construction work has begun on the internal steel beams and some rooms have been stripped and opened up. As we continue to strip back the layers of the property, we take stock of the history of the building and how each phase of previous building work has added to the overall house. When working on historical houses we often improvise when discoveries are made. One instance occurred recently when a door was made in an existing wall, only to reveal unique brickwork behind. Consequently we have decided to retain the masonry and will work to preserve and re-point the wall which will now feature in the space as gallery space. Island Cottage is an existing dwelling constructed in 1830, in a conservation area at the southern limit of Sidlesham Quay village, West Sussex. The project to refurbish the house will involve an extension, internal modification and landscape design. The property was highlighted by the local authority as a key example of rural vernacular character for homes in the area, but also sited in a major flood risk area. 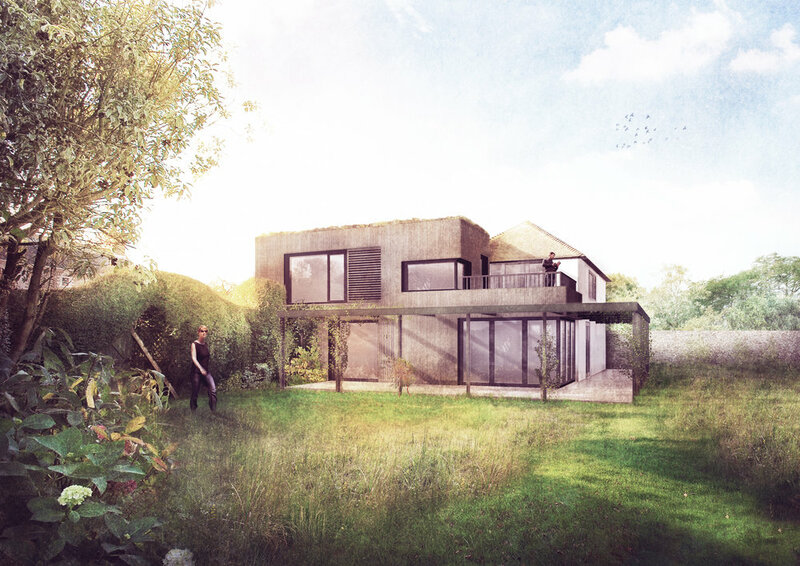 Our design therefore includes a landscaping strategy that alleviates flood risk by providing a bung to the garden edge, whilst encouraging native species planting to take over a new timber structure that is directly connected to the house. This approach will help to plant the house in its surroundings, which is vital given the local connection to the Sidlesham Nature Reserve. Internally the cottage will take the natural materials of the surrounding coastline, such as flint and timber, and will use these to dress walls and floors. The clients have a strong sense of belonging to the area, as childhood memories of visiting Pagham Harbour have drawn them to live on the South Coast after many years in London. We are keen to help provide them with a home in which to dwell for many years to come.